The often repetitive movements involved in calf rearing can also lead to more serious issues like carpel tunnel syndrome, she says. 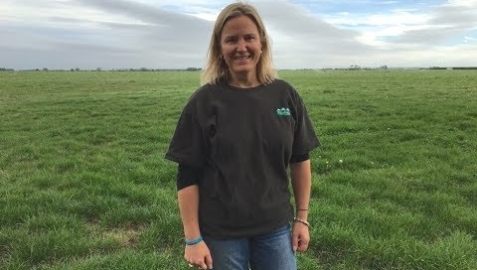 So Nicole teamed up with Canterbury dairy farmer and personal trainer Alice Liljeback to create Fit For Calving which launched this year on 5 June. The online initiative, accessed via Facebook, is designed to be completed in the lead up to calving season to prepare women’s bodies for calf rearing. It features daily videos of Nicole and Alice, along with a few other farmers, doing warm ups, stretches and strengthening exercises at different locations around Alice’s farm and various Mid-Canterbury rural halls. Nicole, who owns Ultra-Scan Ashburton (a pregnancy testing and animal service franchise), says having the initiative online makes it easy for people to do the exercises when it suits them. Nicole, who is originally from Canada, has a background in nursing and an interest in promoting health and wellbeing. Nicole says women involved in the programme are noticing positive differences. “The main feedback we’ve had is that it’s got people thinking about the physical demands of calf rearing and getting their bodies ready. This year was about testing the waters and seeing where it went. The biggest learning curve for us was the technological side of things like loading videos but we’re definitely keen to do it again next year,” she says. If anybody is interested in taking part next year, keep an eye on their Facebook page and website for details. 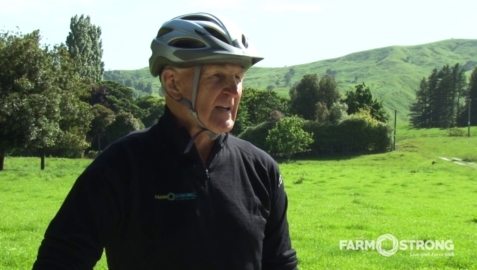 Former All Black Ian Kirkpatrick on the importance of exercise.